MURAL is a spatial tool. It’s critical to understand the scales you can work at. What dimension should you work at? To maximize the amount of space you get in MURAL, there are a few things to keep in mind. The most important thing is to avoid resizing sticky notes. Use the default size instead. If the text is too small to read, zoom in; if it’s too large, zoom out. 1. OVERVIEW LEVEL - Zoomed all the way out. The overview scale is when you’re zoomed all the way out. Set up the mural with a hierarchy of text sizes so that top-level headers are readable even at this scale. When zoomed into about 33%-50% you can see about about a quarter of the mural. Subsection headers should be comfortable to read, but you probably won’t be able to read sticky note text. The working level is where you’ll spend most of your time adding content. This is at a zoom level of about 67%-100%. Reading text on a default size sticky should be no problem. 4. CLOSE-UP- Zoomed all the way in. As the name suggests, the close-up level is when you are zoomed all the way in. 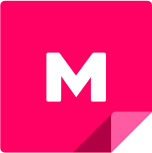 This is great for viewing the detail of images. 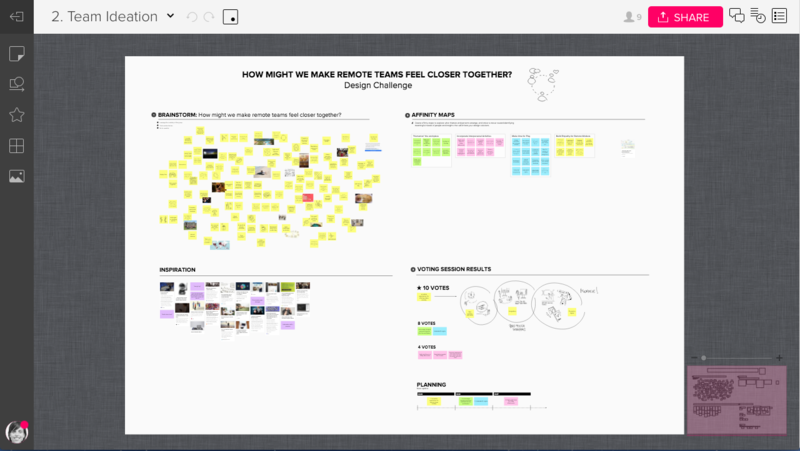 Learn how to zoom and scroll quickly, and think about the scale you’re working at. 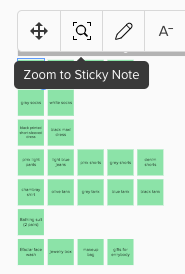 Again, don’t make sticky notes larger - that will take more of your time and reduce the amount of space you have. Understanding these different levels will help you guide others through your content and make you feel like a MURAL pro. For more, see our blog post on scale in MURAL.